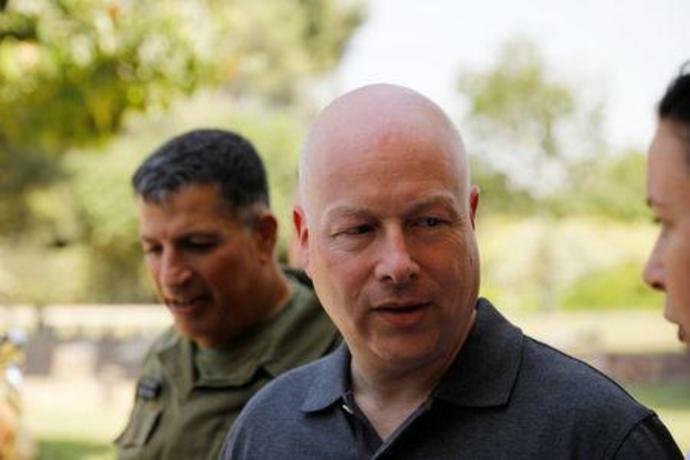 In an interview with Reuters, Jason Greenblatt, a chief architect of the long-awaited peace initiative, said U.S. negotiators had entered the "pre-launch phase" of the plan, despite a boycott by Palestinian leaders. But he declined to specify a time frame, except to say it would not be announced at the U.N. General Assembly gathering in New York later this month, or offer any details of a proposal that has drawn deep skepticism even before its unveiling. "We're going to have to defend the plan to Israelis and Palestinians. We are ready for criticism from all sides, but we believe this is the best path forward for everyone," he said as the administration moved to finalize the initiative, which is led by Trump's son-in-law, Jared Kushner. But there was no immediate explanation of what might disappoint Israelis, who have been largely pleased with President Donald Trump's Middle East policies but have at times been rattled by suggestions he might ask them for significant concessions. "The parties will need to decide if they think the plan works for them and will make their lives better," he said. "The parties are the only ones who can make these compromises, and there are no compromises on Israel's security needs." Doubts have mounted over whether Trump's administration can secure what he has called the "ultimate deal" after it cut off aid to the Palestinians and ordered the PLO's office in Washington shut, further angering Palestinian leaders and reinforcing their refusal to engage in U.S.-led diplomacy. The Palestinians have refused to participate in the U.S. effort since December when Trump recognized Jerusalem as Israel's capital and then moved the U.S. embassy there. Trump's aides later played down his comments. The Trump administration hopes Saudi Arabia and other Arab allies will support its peace plan once it is released but does not expect them to "try to push the Palestinian people into a deal that the Palestinians don't want," Greenblatt said in the interview on Wednesday. Saudi Arabia's King Salman recently has reassured other Arab countries and the Palestinians it will not endorse any plan that fails to address key Palestinian concerns. With the "political component" of the plan at the point where it covers all core issues of the decades-old conflict, "We do have to get the economic portion of the plan finished," Greenblatt said. "A successful economy is critical for the Palestinians." Senior Palestinian official Saeb Erekat said earlier this week that "we will not succumb to U.S. threats and bullying."